At the June 6 City Council meeting, Councilor-At-Large and habitual liar Gordon “Gordy” Eddington passionately lobbied City Council to move forward on City Hall renovations, a project that will cost city taxpayers $700,000 more than the original budget. Eddington claimed that his “calculations” showed the entire project costing about $46,000 more than planned. City Comptroller Adam Blowers stated that it would be around $700,000 over budget. Eddington disagreed with the $700,000 figure. Unsurprisingly, the general contractor that won the bid is Gordy’s old friends at Massa Construction. Massa stands to pocket $1.2 million if Eddington is successful in convincing Council to move forward. But Eddington may have a connection to Massa that he is required by New York State law to disclose, which would put him at risk of a misdemeanor that could result in his removal from office. October 11, 2016 (Special Council Meeting – Budget Discussion)– The proposed budget for 2017 includes $1.5 million for City Hall upgrades, including a brand new elevator and renovation of council chambers so that council meetings could be moved back to City Hall. Councilor Camera spoke opposing the project. City Manager Horn stated that accessibility and operational issues needed to be addressed. According to the minutes, Councilor Eddington said nothing during the renovations discussion, although Eddington claimed in 2018 that he was the one who proposed the project. October 19, 2016 – Councilor Camera speaks to the Finger Lakes Times to express not only his opposition to the expensive City Hall renovation project, but also his concern that other councilors had decided to vote to approve the 2017 budget early, rather than waiting to vote during the final scheduled budget discussion the following week. The budget, including the $1.5 million City Hall renovation project, was eventually approved early at the October 19 meeting by a vote of 8-1. Camera voted against. March 2018 – The city received two bids for the general contracting portion of the city hall renovation project. The winning bid, at $1.2 million, was Massa Construction. With additional costs (including electric, plumbing, etc.) the total cost of the project is projected to be $2.2 million. Eddington said his “calculations” showed the project was $46,000 over budget. Later, City Comptroller Adam Blowers gave a figure of $700,000 over budget. While it may not be the first time a councilor has ever disagreed with a city comptroller, Eddington is making the noteworthy claim that his “calculations” show that the comptroller is about $654,000 off the mark. Eddington knows that the city comptroller has recommended that council find a way for the project be scaled down so that the city doesn’t take on another almost three-quarters of a million dollar debt, but Eddington insists that the project be approved and started immediately. 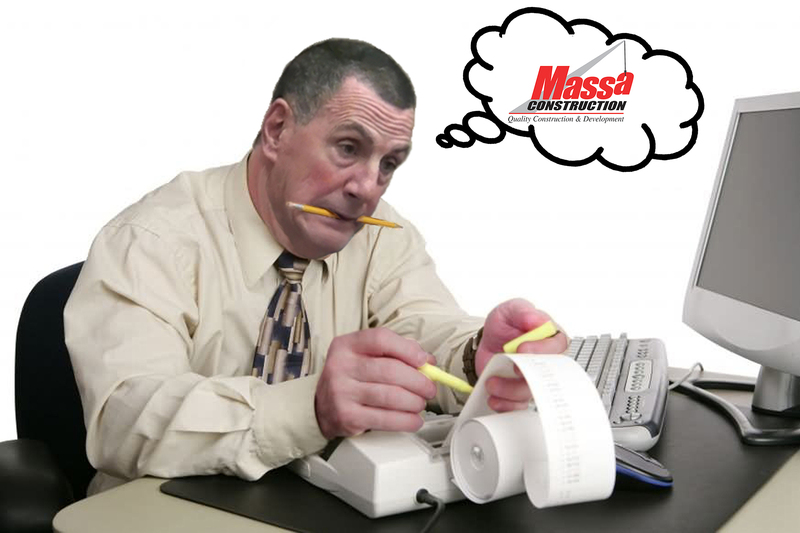 Does Gordy really care about the disabled and those who are uncomfortable attending meetings at the police station, or is he just trying every angle possible to make sure his friends at Massa Construction get paid their $1.2 million? A special council meeting has been scheduled for Wednesday, June 13, and council will vote on how to proceed with the city hall renovations issue. It will take a super-majority of council (six votes) to make any changes to the project or the budget. And Gordon Eddington should not be voting. Eddington’s asbestos removal company Eddington Environmental has worked alongside Massa on many city projects since Eddington’s retirement as DPW director, including the 2015 firehouse demolition. Eddington (along with former city manager Matt Horn) provided a testimonial on Massa Construction’s website as recently as 2015, before Eddington began his city council term. In 2015, Massa Construction hosted large campaign signs for Geneva City Council candidate Gordon Eddington at their headquarters on Pre-Emption Road and at one of their downtown building lots. According to multiple sources including former employees of the restaurant, Eddington, Massa and Horn, for years, had breakfast together on Friday mornings at 7am at Friendly’s in Geneva. While none of these conflicts would prohibit Eddington from voting on the Massa city hall renovation project, there is another issue for Gordy that is serious enough to force him to recuse himself from the vote. Gordy Eddington’s son has apparently been employed by Massa Construction since June 2017 (and is also employed by the city at the water treatment facility). The apparent employment of Eddington’s son by Massa is a clear enough conflict that Eddington should be required by law to recuse himself from voting on any project related to Massa. A municipal officer or employee is deemed to have an interest in the contracts of his or her spouse, minor children and dependents, except their contracts of employment with the municipality. Eddington’s son, a recent college student under the age of 24, is likely a dependent of Eddington. Therefore, Eddington is “deemed to have an interest” in any contracts related to his son and Massa, and is also required to disclose this fact under Article 18. And what if Gordy decides to vote anyway? Article 18 provides that any contract willfully entered into by or with a municipality in which there is an interest prohibited by article 18 is null, void and wholly unenforceable. Article 18 also provides that any municipal officer or employee who willfully and knowingly violates the previously discussed provisions of article 18 is guilty of a misdemeanor. A conviction can serve as a basis for removal from office. When the former DPW director from the breakfast club wins a seat on city council with the help of the developer, and later pressures city council to award a $1.2 million dollar bid to that developer even though his son works for the developer, it becomes clear that they do not care about conflicts of interest, and have no concerns about whether their actions result in additional burden on the taxpayers who aren’t in their club. No private individuals or companies should have this kind of relationship with elected and unelected officials in our city government. Eddington’s shameless lobbying to line the pockets of Massa, while claiming to be a champion of vulnerable communities in the city, is pretty greasy even by Gordy’s standards. Will the new city manager be joining the others for those Friday breakfasts? Probably. That’s how it works in Geneva. Contact City Council and tell them to clean up city hall of conflicts of interest. They probably won’t listen, but they need to know the people are paying attention. Come to the Special City Council meeting on Wednesday June 13 at 6pm, and let Council know that we don’t want them to burden us with more debt so Massa Construction can pocket more money. Council needs to vote to delay the renovations, re-evaluate all renovation plans, and re-apply for a Community Development Block Grant for an ADA compliant elevator (Geneva applied but didn’t receive the $300,000 grant this year). The work is necessary and overdue, so let’s take a little more time to do it right. And in the next Council election, keep an eye out for Massa Construction-approved candidates, who will continue to do the work that Gordy Eddington is trying to do, which is to make sure that Massa Construction continues to get those lucrative city contracts while the working class taxpayers of this city continue to struggle. Lots of accusations, but where is the proof? Is the standard of corruption so low in Geneva that it only requires an occasional breakfast to secure city contracts? I would ask (1) was Massa the low bidder, and (2) did they do the work contracted for using the proper materials? What you described here is more than ethical violation, it is a crime and as such should be investigated by the State Police, if not Federal authority. The only “accusation” is related to Eddington’s conflict of interest. If his son is not a dependent or is no longer employed by Massa, then Gordy should have nothing to worry about when he votes on the project this Wednesday. A number of facts have been presented that show a pattern, and that pattern gives the appearance of undue influence within city government by a local company. I have not “described” any criminal behavior. If this were to be investigated, I would assume the state comptroller or attorney general’s office would be a more appropriate authority than the state police.